In my last book Content Machine one of the key concepts I discussed was the 70:30 rule, which recommends that when you’re launching a new blog that you initially deliver 70% of your content “offsite” and only 30% on the new blog itself. The reason for this is simple, you don’t yet have an established audience on your new site, so to build your follower base there you need to maximise your exposure by initially delivering a lot of your content elsewhere to connect with them and bring them across. The 30% onsite component of your content entices them to stay and follow you, and you can then gradually ramp up your onsite content volume once your number of followers build. I applied this concept with my WP Curve business, initially guest posting on other people’s sites to build rapport and gain a profile for the WP Curve blog. Once I was able to gain a core group of followers for WP Curve, I was then able to flip the 70:30 rule around and create the majority of my content onsite to be consumed and shared by my followers there. The good news is that the 70:30 rule can also be applied to gaining traction on new social media platforms, where you’ll definitely need to do some work to build your follower base. Today I’ll be focussing on what I’m currently doing to grow my followers on Snapchat. Delivering quality content is a no brainer, but how can you draw attention to your Snapchat presence to entice people to interact with you there? Snapchat takeovers of other people’s accounts is an epic way to build your own Snapchat profile. This week I’m putting this to the test by doing 1 takeover per day in an effort to grow my views from 220 to 500 in one week. This is the 70:30 rule in action. By doing most of my content in front of other people’s audiences, I drew more people back to my profile (results at the end of this post). I’m not neglecting my own account, I’ll still be posting 30% of my content there to make sure they have a reason to stick around. 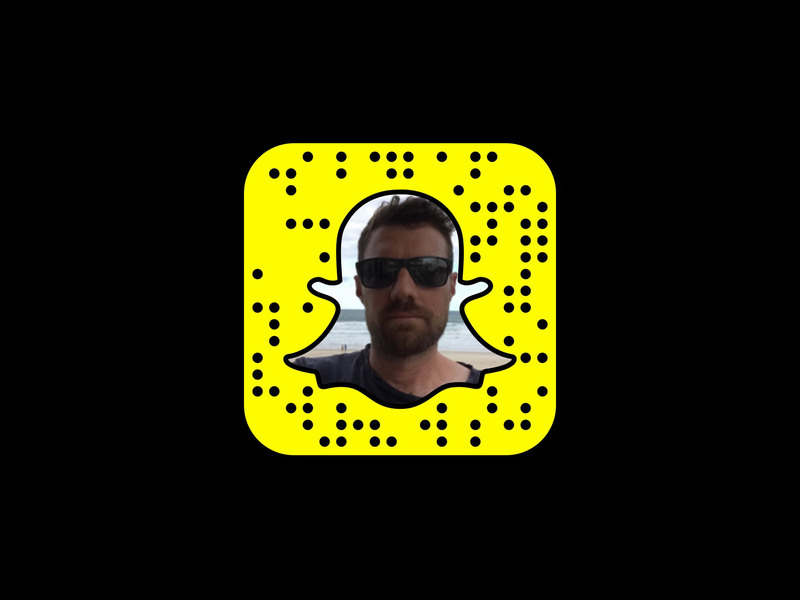 My first Snapchat takeover was for Morgan Brown of Growth Hackers.com where by sharing content with his audience I was able to gain 50 followers to my Snapchat account in just one day. I also brought some of my audience across to him as well, which delivers a win/win result and helps to build your entrepreneurial network. It’s really quick and simple to log in and ‘takeover’ someone else’s account, which let’s you switch seamlessly between the 70:30 rule of posting content both off site and on site, allowing you to focus on the quality of your content. Another one I’m doing this week is with Nir Eyal, author of the book Hooked: How To Build Habit- Forming Products. His area of speciality is in consumer psychology and I’m applying his framework to provide content to his audience around building a social media following. As well as delivering valuable content I’m also building rapport with his followers through putting out some Snaps to let them know a bit more about me and what I do, such as my Black Hops Brewing business. Epic content from someone you can trust is the key to delivering and keeping followers to your own platform. Using your Snapcode as your profile picture on other social media platforms is another easy way to bring your existing followers across to Snapchat. I’m currently doing this on my Facebook and Twitter accounts, allowing followers there to to instantly recognize my Snapchat presence and then simply clicking on my Snapcode and follow me across multiple platforms. Talking a lot about the features and benefits of Snapchat across other social media platforms goes a long way towards delivering you more Snapchat followers. Hopefully a few of you reading this post will now start following me on Snapchat if you aren’t already doing so! At WP Curve this week I’m releasing a Snapchat guide, which focuses on a lot of the stuff that I’m currently doing on the platform to add value to my projects. My recent weekly blog posts on 2016 Social Media Trends: My Winners and Losers and My top 10 Online Business Tools for Entreprenuers in 2016 has also delivered Snapchat relevant content to my audience and been successful in gaining me more Snapchat followers. All of this offsite content build attention for my Snapchat account and gets me followers back on Snapchat. In addition to using my Snapcode profile picture I’m also proactively advertising the fact that I’m on Snapchat on other platforms. For example every week on Instagram and Twitter I post my Snapchat ‘snap code’ and invite people to follow me there. Everyone is so used to doing ads for other people, why don’t more people do ads for themselves? I use a template to create this, which I have included for those who wish to customise their own self promotion blurb to use on your platforms to let people know you’re on Snapchat. These can be great mouthpieces for letting your audience know what you’re using and what you recommend. New apps and cutting edge platforms will naturally attract curiosity as people, especially those who consider themselves ‘early adopters’, look to educate themselves and jump on board something new and shiny prior to saturation. So I always look to subtly plug Snapchat whenever I’m doing a podcast and inevitably I’ll gain a few more followers as a result. And if you’re being interviewed on a podcast, I’d recommend talking about your new Apps and platforms if you can. People want to jump on board with something new and exciting and they’re looking for more people to follow, even if it’s just the same person on a different platform! So rather than mention your Facebook page or your Twitter handle, mention your handle on some new platforms and I reckon you will get more action. Promoting Snapchat when networking and interacting in the live realm can also go a long way to building your followers. I’ve seen entrepreneurial heavyweights as Gary V and Kerwin Rae have Snapcodes on their shirts when doing conferences so that people can literally ‘snap’ their shirts to follow them! Business cards with your Snapcodes on them can also be quite effective. These Snapcodes are without doubt the easiest way to add people on social media. For me it’s about taking opportunities when I’m at meet-ups and conferences to mention I’m on Snapchat and providing easy options for people to connect with me there. You are going to start seeing Snapcodes on business cards and product packaging everywhere. Using a new platform to recommend another new platform amongst your followers is another strategy with great flow-on effects. For example when I’m on Snapchat I’m often mentioning my Anchor account (@thedannorris on Anchor) as my Snapchat followers often fall into the ‘early adopter’ category and may be looking for recommendations on other new apps and platforms. Bringing these followers across to Anchor ultimately helps me to gain more traction there and more traction there means I can talk about Snapchat more there and it falls on more ears. Shout-outs are another great cross promotional tool that helps you network and build followers with a minimum of fuss. When I’m on Snapchat I’ll always look to shout-out other great accounts. Be sure to send your shout out to both your Snapchat story and to the person or business you mention, so that they know you’re scratching their back and they in turn may scratch yours! And while on the subject of shout-outs, Nick Gulic of My Biz Bro makes a great point to focus on being proactive and championing your platforms of choice early in the game before they become over exposed. It’s easy to sit back and wait to see if platforms work out, but the people who stand up and lead on new platforms inevitably reap the rewards. Of course there is risk the platform won’t work out, but if you can get in early you get noticed. Gary Vee has done this with YouTube and Snapchat (going back to 2007 and 2013 respectively). If you are on Snapchat, hit me up @thedannorris and send me a snap! If you aren’t yet, it’s time to get on it! Follow these steps to add me! As usual, I’m interested in finding out what you think. So let me know your experiences with Snapchat, and what other platforms you’re currently excited about and are using to build your following? p.s. 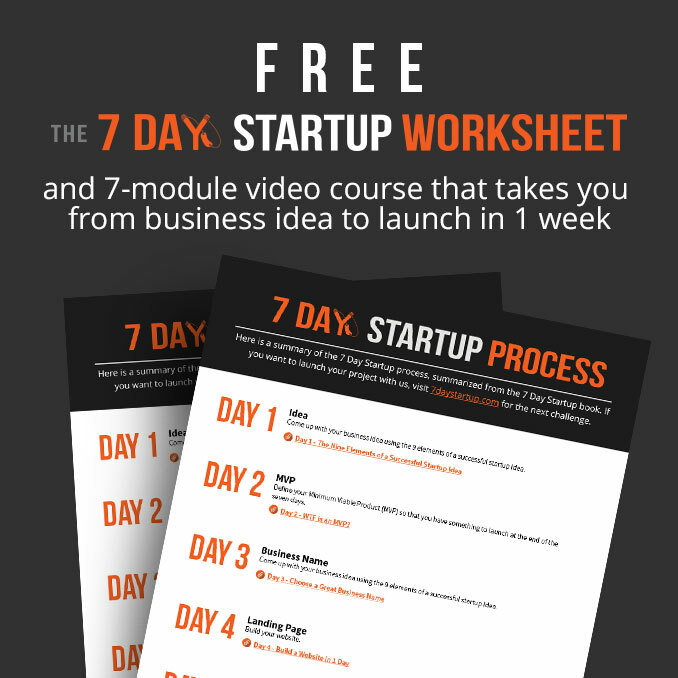 The 7 Day Startup Challenge is happening now. If you’re looking to launch a project like a podcast or an online business, be sure join in here. Hey Dan, good luck getting to the 500! Great tactical tips here and I’m really enjoying the snapchat takeovers. I’m going do a few more with other people too. Hey thanks for the mention, as well as an awesome article! Oh and just adding a point: write about the impact this new platform will have on your industry OR target market. If no one else has done it, your article will be the first thing that comes up. If your article is any good, it will be shared. Boom you’re famous(ish).